You can find your membership number on your membership card or in a copy of our email newsletter. Purchasing a new membership? Make your purchase prior to Feb. 27. After making your purchase, click the "display order now" button in your confirmation email (on a desktop computer) and your member ID number will be displayed on the ticket. Have a lapsed membership? Renew before Feb. 27. Code word for camper pick-up (Ex. pet name, nickname, animal, etc.) Remember, anyone that plans to pick up your child from camp will need to know this code word in order for your child to be released to them. Make sure your child will be of age on the first day of the camp week you select. If coordinating with friends, select weeks together in advance (switching weeks later is not possible). Campers ages 5-12, may register for up to 2 weeks of camp. If aged 4 or 13-18, there is only one type of camp offered for these age groups, so campers may only register for 1 week of camp. To register campers in multiple camp sessions, be sure to click "Continue Shopping" instead of "Go to Checkout" after your first registration. Will your child need Before or After-care? Before or After-care can be purchased separately from your camp registration. Do you know your Zoo Online Account login information? If you have not registered for an education program through the Nashville Zoo webstore since June 2015, you will need to create a new account during checkout. Nashville Zoo accepts Visa, MasterCard, Discover and American Express as payment for online registrations. There is no longer a processing fee for summer camp registrations. All summer camp registrations will be done online. Summer Camp Cancellation Policy - Cancellation requests submitted 2 weeks prior to the registered camp week will receive a 50% refund of original amount paid. Cancellation requests received within 2 weeks of registered camp week will not receive a refund. Can my two children (or child & friend) be placed together in the same camp group? Ultimately, it depends on age. In order to provide more exciting camp opportunities, our curriculum is developed to meet the needs of specific age groups. Therefore, we ask that you register each camper in a camp for their appropriate age group. If you have multiple campers in the same camp session, we can accommodate some requests for them to be placed in the same camp counselor group. (Camp sessions are subdivided into smaller camp counselor groups with ~8 campers.) If you have a request, please contact our Education Department at education@nashvillezoo.org with subject line "Summer Camp Group Request"
Example 1: John is 5.5 years old and is registered for Animal Sense Camp June 3 to 7. His friend, Bob is 6 years old and is also registered for Animal Sense Camp June 3 to 7. Their parents can request John and Bob be placed in the same camp counselor group for Animal Sense Camp. Example 2: Kayla is 6 years old and is registered for Storybook Tails Camp May 27 - 31. Her sister, Susan is 7 years old and is registered for EcoAvengers Camp May 27 - 31. These sisters cannot be placed in the same camp counselor group because of the age difference. I registered for the wrong camp, can my child switch into the correct camp? Campers cannot switch between camp themes (i.e. Animal Sense to Storybook Tails). However, depending on availability campers can switch between weeks of the same camp theme (i.e. Animal Sense June 3-7 to Animal Sense July 8-12). 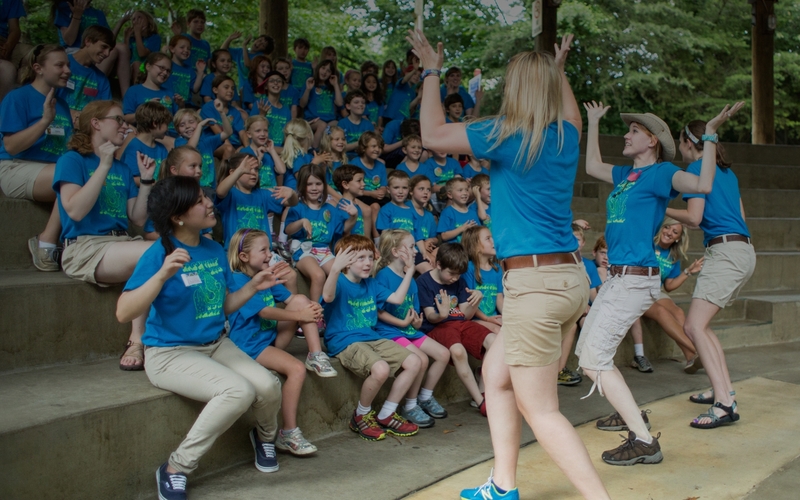 Summer camp specific questions: Contact our Education Department at education@nashvillezoo.org with subject line "Summer Camp Question"
Membership information questions: Contact our Membership Department at membership@nashvillezoo.org with subject line "Summer Camp - Membership Question"
Can't login to your online account or have a technical issue? Contact our Digital Marketing Coordinator, Kelsey White, at kwhite@nashvillezoo.org with subject line "Summer Camp Website Question"